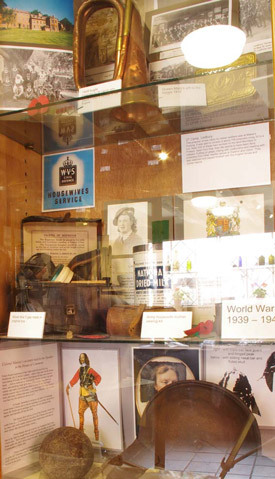 Butcher Row House Museum features many items of local interest including reproduction helmets and breastplates that would have been worn in the Battle of Ledbury in 1645 and a small collection of musical instruments ranging from a ‘hurdy-gurdy’ to a Tibetan pipe fashioned from a thigh bone. In 2018 the museum had over 14,000 visitors. It has been awarded accredited status by Arts Council England. It was the first independent Museum in the West Midlands to receive this award. You can also read more about Butcher Row House and its history.